Bruce Clay, Inc. will proudly sponsor the Best SEO Campaign category at the 2014 US Search Awards on Oct. 8, 2014 during Pubcon Las Vegas at the Treasure Island Hotel. Noted as the biggest celebration of search, PPC and digital marketing in America, the second annual US Search Awards honors and celebrates the innovative accomplishments of the most talented agencies and professionals across North America in 20 award categories acknowledging the best in SEO, PPC and digital marketing. 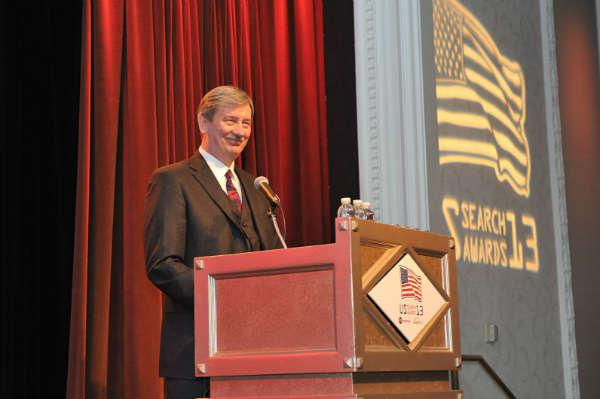 Bruce Clay presented an award at the inaugural US Search Awards in 2013. Awards will be given for the best use of search in retail, finance, travel, and social enterprise as well as for the best campaigns in local and mobile search, integrated marketing, and paid search. With so many of the industry’s leading experts in search and digital marketing gathered together in one place at the same time, Pubcon Las Vegas points the limelight to the many accomplishments and achievements of individuals and organizations. Pubcon Las Vegas and Marketing Signals are headline sponsors in addition to the award sponsors SEMPO, Distilled, Survey Monkey, Linkdex, and of course, Bruce Clay, Inc.